The Santa Barbara Inn has received the AAA Four Diamond Rating. This is the first time the inn has attained this designation. Hotels at this level employ experienced, highly-qualified staff to provide the custom service luxury hotel guests expect, according to AAA. These establishments deliver unmatched guest comfort with upscale physical attributes, extensive amenities, and a high degree of hospitality, service and attention to detail. Fewer than 4 percent of the 59,000 AAA-Approved hotels and restaurants receive this rating, according to the Automobile Club of Southern California, and California boasts the most AAA Four Diamond hotels with 176. 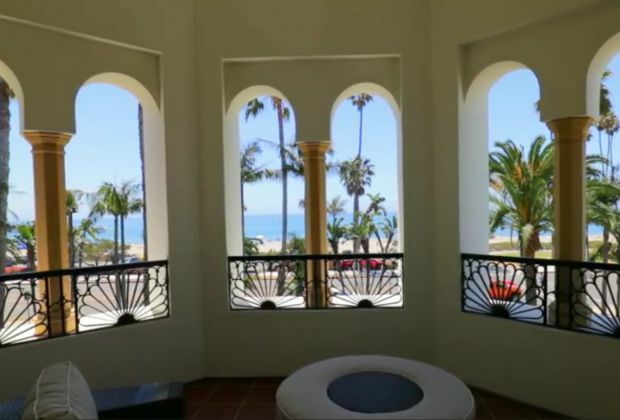 The Santa Barbara Inn, at 901 E. Cabrillo Blvd., has elegantly-decorated rooms that offer ocean or mountain views from private balconies, according to Auto Club Inspector #546. Suites boast Tommy Bahama poster beds, jetted soaking tubs and separate marble showers, the inspector added. The Santa Barbara Inn features 70 guest rooms and suites, most with views of the Pacific, while others face the majestic Santa Ynez Mountains. The inn is within walking distance of historic Stearns Wharf. The Mediterranean-inspired property houses a full-service restaurant featuring indoor and terrace dining, a brand-new fitness center and heated outdoor pool. Breakfast is complimentary. Owners of the Santa Barbara Inn are local real estate developers Mimi and Richard Gunner. For complete lists of AAA/CAA Four Diamond hotels and restaurants and rating definitions, visit AAA.com/Diamonds.